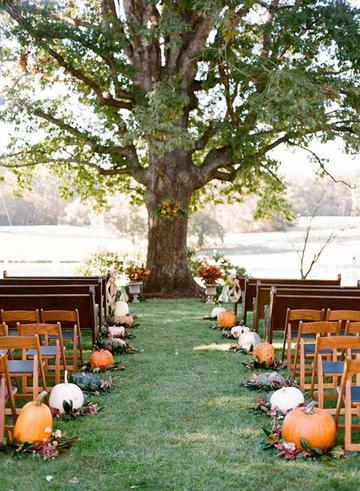 As the days get shorter and the nights cooler, we’re finding fall wedding inspiration that will make you wish for plaid scarves and candlelit kisses. Here at the Canoe Club Ballroom, we are lucky to be located in a beautiful natural setting, surrounded by fall foliage that is absolutely stunning! Fall might just be our favorite season, and there is a lot of reason why! 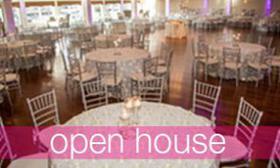 The colorful leaves, the tasteful treats, and beautiful jewel toned florals that are just too pretty not to love! Even when the temperature drops we still offer outdoor ceremony’s, and amazing photo opportunities with the sun setting in the background! This time of year it’s all about incorporating dreamy accents like moody blooms, creative cocktails, and metallic details. 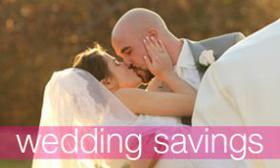 Plan the perfect fall wedding with these cozy fall wedding ideas! Line your aisle with a variety of different pumpkins, it’s a wonderful alternative to flowers and it’s perfect for the season. 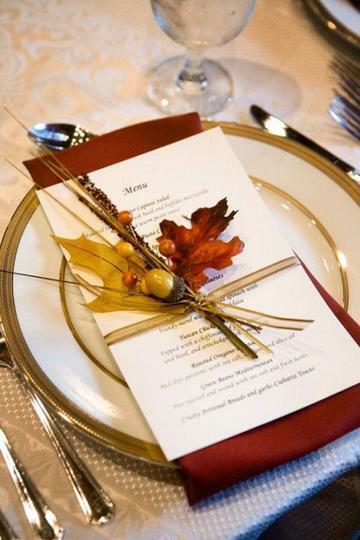 A great way to add autumn foliage color, is to tie menus with ribbon to accent the colorful leaves. 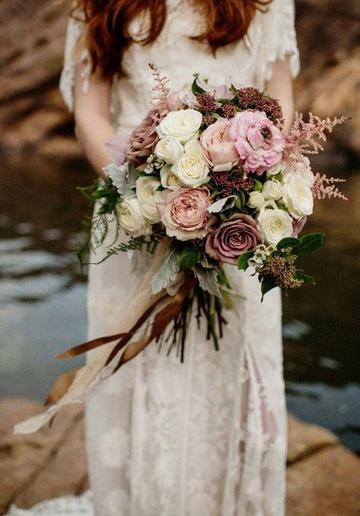 This dusty pink bouquet full of moody blooms is simply stunning and perfect for a fall celebration! We love all things fall, especially plaid! 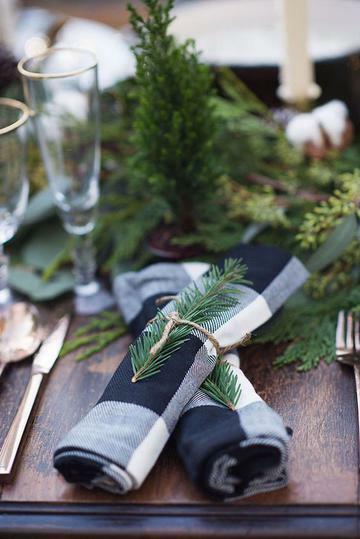 Incorporate navy and white plaid napkins to your perfect wedding tablescape. 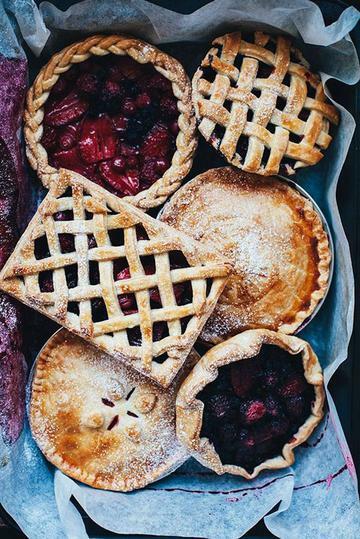 Offer an assortment of flavors (think apple, pumpkin and fresh berries), doing so in all different shapes and sizes definitely takes your pie station to the next level. 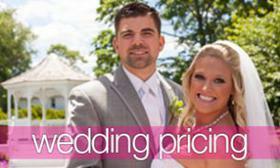 Though you’re bound to have beautiful photos during a fall wedding, your bridal party may get a bit chilly during those photos outdoors. 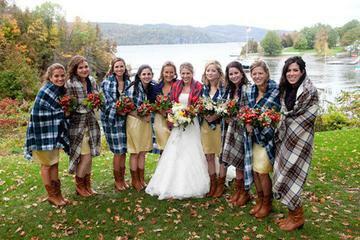 So, think about plaid scarves that can double as bridesmaids gifts.